This statistic illustrates projections for the U.S. wheat harvested area from 2010/2011 to 2027/2028, measured in million acres. 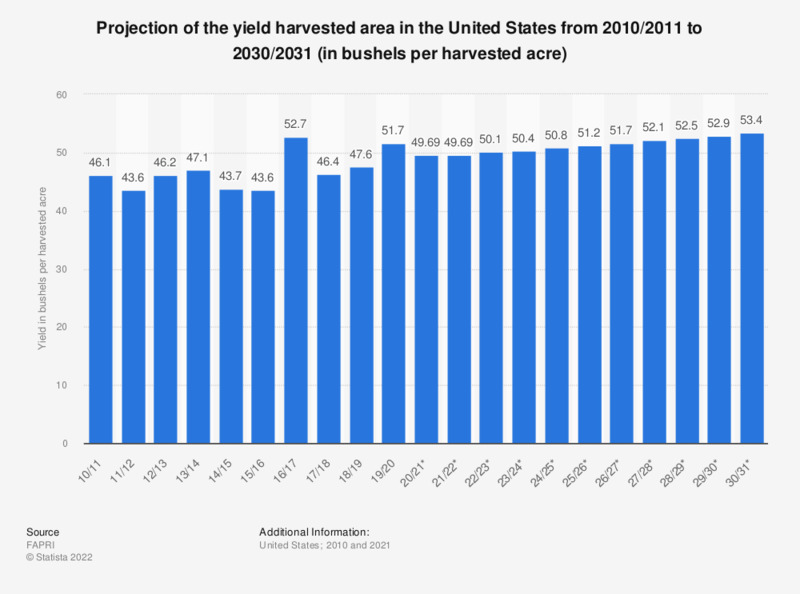 For crop year 2027/2028, the harvested area of wheat in the U.S. is projected to be some 38.9 million acres. Everything On "World of wheat" in One Document: Edited and Divided into Handy Chapters. Including Detailed References.